In conjunction with the remarks made by Eric Sandgren at the First Unitarian Society of Madison forum noted in this post, Sandgren stated that, for him, the ethics of animal experimentation depends upon drawing a line (or attempting to define a chasm) between human and non-human animals, humans being said to deserve ethical priority because of characteristics they have which other animals do not. The specific example he gave referred to the ability of humans to give conformed consent, something which non-humans cannot do. Sorry to go off on a bit of a tangent with regard the intent of your post, but I found this argument particularly irksome. We all know that animals used in experiments or living in laboratory settings will, in various cases, self-mutilate; vocalize their distress; physically resist experimental procedures; huddle in the back of cages when lab workers arrive to remove them; etc, etc. Give a monkey, chimp, cat, dog, rat, mouse or whatever, who has been fluid deprived, the choice between free access to a bowl or bottle of water or not, it's easy to guess what their choice will be - indeed, the very fact that they need to be so deprived in the first place indicates a working knowledge on the part of researchers that the animals, given a choice, would not choose to submit and perform as they are being asked to. The ability to consent or not consent is clearly indicated, but apparently, as far as Sandgren is concerned, because animals cannot discuss the issue in the complex, abstract, language-defined ways that humans can, any behaviors they exhibit which indicate autonomy of will and individual desire is emptied of all meaning. Thus his ethical argument, in this instance at least, amounts to nothing more than: "We have the right to experiment on other animals simply because they are not human." They cannot object as humans object, cannot refuse consent as we would, therefore it is acceptable to make use of them as we will. We do it because we can. Might makes right. With regard to his point about spaying and neutering dogs and cats without their consent, obviously this is being done for both their individual and their species benefit, something which does not apply with regard the vast majority of cases in which animals are used as experimental tools. 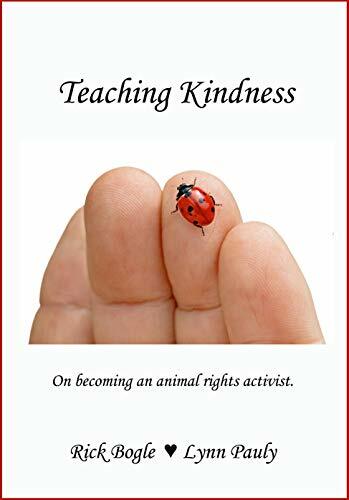 Spaying and neutering pets without their consent but for their benefit not only does not support his argument, but refutes it: our ethical obligations to animals extends to making decisions which benefit them - not to using them for the sole purpose of benefiting us. In the public forum, I said that people cannot believe what they hear on any side of the issue of animal use in research, because most of it is out of context. I said that anyone serious and honest about this issue would have to do a lot of hard work on his or her own to understand how science really works, and what it can (and can’t) tell us. I do not believe that utilitarianism trumps rights. 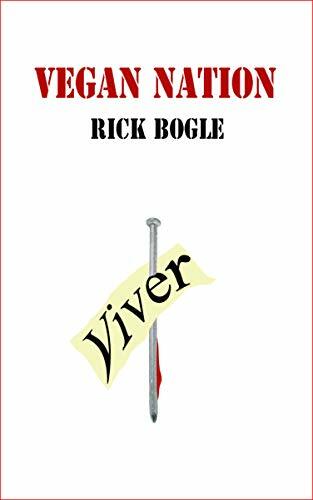 I believe that rights trump utilitarianism. If I said the former then I misspoke (where is the “elsewhere” you referred to?). I believe that humans have rights, and I do not believe that animals have the same kind of rights. That is why I say rights trumps utilitarianism for humans, but do not say the same thing for animals. The statement of low “hit ratio” comparing scientific experiments to discoveries was made by someone else, not me. I do believe that translational studies, which will provide human benefit, should be much more common. That doesn’t negate the important role of basic animal studies. The All Campus Animal Care and Use Committee DID address the question “Is experimenting on monkeys ethical?” The answer was “Yes”. Both written statements you cite “responded meaningfully” to this question; they do not beg it. They didn’t provide a detailed answer to each of the other dozen or so additional questions you now are asking, but they answered the question. We didn’t say, nor do we expect, that you would answer the question the same way, or even like our answer. Stop misleading the public. Regarding the comment by Zeb, I do not believe, nor did I say, that we have the right to experiment on animals because they are not human. In fact, I avoided a detailed discussion of what makes animal and humans different with respect to rights because that is not my area of expertise. What I did say is that--once again--people need to look into this issue for themselves. "I avoided a detailed discussion of what makes animal and humans different with respect to rights because that is not my area of expertise." This seems whacky. You speak and act from a position of faith, not reason. 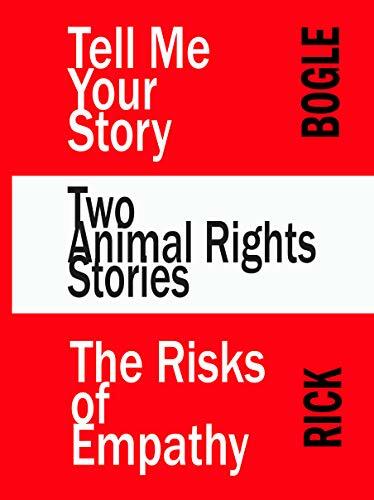 Dr. Sandgren: Rick Marolt's question at the forum pertained specifically to the rationale applied to animal experimentation and its ethical framework. Prof. Webster, in his response, introduced the idea of the impossibility of using human subjects for the experimental purposes to which animals are put; you continued this thought in your own response, adding to it the concept of a variant degree of rights for humans and nonhumans. The inability of non-human animals to give informed consent (as humans can, in the form we can) was used by you as a central, explicatory concept defining the difference between humans and non-humans, and as central to the ethical framework you apply to the use of animals in experimental procedures (i.e. where you, personally, "draw the line" with regard the ethical viability of animal use). I do not see then how you can reasonably deny the assertion that you have posited, as at least as one prong of your argument in favor of using animals as experimental tools, that it is ethically permissible to do so because non-human animals cannot express themselves with regard consent in the same manner as humans can - i.e. that we can experiment on them because they are not human. That they may and do express a refusal of consent is apparently something you either refuse to recognize or refuse to give much credence to. I realize your response to Mr. Marolt was "off-the-cuff," nevertheless I see no reason not to take your remarks as being fairly representative of your view on the matter. Have I said that the ACUC did not answer the Question "Is experimenting on monkeys ethical?" I don't recall saying it. Maybe I did. But I agree that the ACUC answered the Question. In the future, I will make sure to say that the ACUC did answer the Question. I will also say that the ACUC declined a proposal to study the issues before coming up with an answer. Those are facts. Then I will give my opinion that the ACUC's answer was superficial, illogical, unsupported by evidence, corrupted by self-interest, and designed only to reinforce the status quo. Paul Kaufman made the comment about a low hit ratio in the public debate on March 15. I quoted him on public radio two days later, and you agreed with him. I would still like to know how the ratio of benefits to costs is maximized if there is a low hit ratio in translating costly research into actual benefits. So rights trump utility for people, but utility trumps rights for non-human animals? But why? You're not explaining anything. Eric, this sentence reveals the whole problem. To answer the Question meaningfully, the discussion that you are avoiding must take place. Your inability to explain your position is proof that the UW has not answered the Question in a meaningful way. You are a leader and a spokesman for a $200 - $300 million enterprise that causes much suffering and many deaths of non-human animals. You have an obligation to ensure that the work done is ethical and to explain to the public why it is ethical. Answering the Question meaningfully requires some study, some experts, some deliberation, some wrestling with difficult issues. Of course you and other committee members do not have the needed expertise. I made that clear when I proposed a study in which you would consult experts. I understand that committee members were taken aback when I spent most of my fifteen minutes explaining why the committee was not the right body to answer the Question. But then you went ahead, took a short-cut, and tried to answer the question anyway. And now you admit that you are not able to answer it satisfactorily because you lack the expertise. The point is not that I disagree with the answer. The point is that the process that produced the answer was deeply flawed. By the way, "begging the question" means assuming a conclusion instead of making an argument for it. When you state that different ethical standards apply to non-human animals and people but you cannot make an argument for that conclusion, you are indeed begging the question. 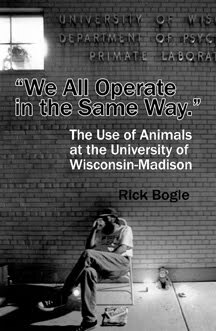 Rick, I agree with Prof. Sandgren that your account of the January meeting of UW’s All Campus Animal Care and Use Committee (ACACUC) is inaccurate and misleading on several points. So, in the spirit of “setting the record straight,” I wanted to clarify what I did and did not say. I took up three main questions. First, I asked what exactly you meant in asking UW to address the question of whether nonhuman primate (NHP) experimentation is ethical. On some interpretations, your request was puzzling. I made an analogy with asking the Vatican to clarify where it stood on whether God exists. What would be the point? Rather, I suggested that you were asking UW to initiate a robust process similar to the one it initiated regarding the ethics of human embryonic stem cell research, bringing together experts in relevant fields to meet several times and issue a report. I think some of the back and forth between you and Sandgren has been the result of equivocation on this question. Sandgren did “take up the ethical issue of experimenting with monkeys”: he said that NHP research is ethical when it meets a utilitarian standard. Of course, you too are correct that there was no study, no public input, and no supporting arguments for many contested points. But has Sandgren claimed the contrary? Not to my knowledge. Second, I asked whether IACUCs have the authority to address ethics questions. I argued that they do and fail to understand your basis for saying that IACUCs "are constituted by law not to make ethical decisions." To which federal regulation are you referring? At any rate, it is misleading to say I made this claim “without providing evidence,” as I cited examples of rules from the U.S. Government Principles which require IACUCs to frequently make ethical determinations about animal housing and about whether the value of the research justifies the harm to the animals. Perhaps you disagree with my argument here, but I did make one. Rather, I argued that UW was not obliged to implement such a process because such a process has already taken place nationally, resulting in a detailed set of regulations that it is reasonable for universities to follow, thus obviating the need for them to individually reinvent the wheel. This does not amount to saying that "the status quo is fine" as there are other factors that contribute to the status quo; for example, how the regulations are interpreted and how effectively they are applied. These are large issues, which my brief remarks did not address. Finally, I agree you should have received a written response. I even requested one at the time. You wrote: "Second, I asked whether IACUCs have the authority to address ethics questions. I argued that they do and fail to understand your basis for saying that IACUCs 'are constituted by law not to make ethical decisions.' To which federal regulation are you referring?" "12:3 [pp 158-159 passim] Should the IACUC perform an ethical review of protocols? Opin. .... For the most part, the IACUC does not and cannot conduct this explicit ethical review. The IACUC is charged with reviewing the rationale (preferably statistical) for the animal numbers, but not whether a particular line of research warrants that number. Similarly, the IACUC evaluates a technical claim that nonhuman primates alone are likely to provide the sort of data sought, not whether a particular project ethically merits the use of primates. Because the IACUC does not have the tools (or the regulatory mandate) to conduct a thorough assessment of the scientific merit (i.e., the potential benefits) of a proposed project, it cannot make a thorough cost-benefit ethical analysis." It is, I think, worth mentioning that the University Faculty Senate committee that ruled against the All Campus ACUC's suspension of Basso, stated that the All Campus ACUC had insufficient expertise in the use of primates for it to come to a decision regarding her work. It seems to me that if All Campus is not qualified to oversee Basso's use of monkeys then they aren't qualified either to make ethical decisions regarding the use of monkeys. I think the Faculty committee was wrong on this point, but their conclusion indicates that many other reasonably well informed observers might agree that the limited consideration given to Mr. Marolt's question by the ACUC, was unqualified, even if as you (erroneously, I think) claim, it was the appropriate authority to do so. Hi Rick B. In response to your 6:21 comment. The Handbook is often helpful, but (a) even if correct, it doesn't support Marolt's claim that IACUCs are constituted by law not to make ethical decisions and (b) it isn't correct in this case. I say (a) because the Opinion says "for the most part," implying that IACUCs sometimes can and do conduct "explicit ethical review." If so, then Marolt's claim is false. I say (b) because even if a policy never uses the words "ethical" or "moral," implementing the policy could still allow or require making ethical decisions. For example, such phrases as "appropriate", "due consideration", "proper use", "adequate", "proper and humane care", appear in the regs and are ethically loaded terms. Making a decision regarding them requires making ethical decisions. The situation is similar, in my view, to the Constitution's requirement for "due process" and "equal protection": these don't use the terms "moral" or "ethical" but properly applying them requires making ethical decisions. I would also say that the more important question here is not whether IACUCs can make ethical decisions, but whether the overall system supports ethical research while preventing unethical research. After all, even if the regs said "IACUCs may not allow any unethical research," that wouldn't satisfy Marolt because those who implement the regs are more permissive than he is. And even if the regs said "IACUCs shall not make any ethical decisions," that wouldn't bother Marolt if the regs required the IACUCs to make all of the relevant factual determinations upon which the ethics of the research depended. To see what I mean, suppose, just as a stupid, easy-to-work with example, that only research that involves dying an animal's hair is unethical. Since an IACUC can make that determination without making any ethical decisions, the regs could say “No hair dying!”, “No ethical decisions!” and still prohibit all unethical research. I think in the case of IACUCs, it is a mix. On certain issues, an ethical decision was made up-front and parts of the regs were written so they could be implemented without any further ethical decisions. In other cases, it made sense to instruct IACUCs to make the ethical decisions. But the important ethical question is really whether the overall system supports ethical research while prohibiting unethical research, not how this particular division of ethical labor was settled. I would find more merit in your argument if you would point to a specific section(s) of the Act or the PHS regs that you believe clearly empowers ACUCs to make the sort of ethical decision you say they can and do make. I take the qualifier "For the most part," to mean something other than you do. You seem to give the phrase undue weight. In 12:3 of Silverman, the authors conclude that ACUCs do at times act as ethical arbiters, and cite as evidence Dresser R, JAVMA, 1989; a 1994 doctoral thesis from The Netherlands; and the proceedings from a conference in Europe from 1994. This "evidence" seems embarrassingly weak and weakly associated with US policy and practice. Dresser's study wasn't blinded. I find Plous and Herzog suggestive that ethical review is very uncommon and moreover, when it does occur, if it does, it has little reliability. In any case, I would appreciate any citation of the Act or regs that you believe is evidence for your claim that ACUCs are empowered to make ethical decisions about the use of animals. Re. Specific sections: The ethically loaded terms I cited in my previous post are from US Govt Principles (it’s only 1 page), as were the examples I gave at the January meeting of the ACACUC. And, to amplify on what I said at the January meeting, even if there was some esoteric reading of the regs that prohibited IACUCs from making ethics decisions, I don’t think that is how they work in practice, unless, again, you are understanding “ethics” in a mistakenly narrow way. Perhaps we could make some progress on the discussion here by approaching it from a different direction: Do you think Human Subjects Committees make ethical decisions? If so, in what way are their regs different from the IACUCs’ regs? Re. the Silverman evidence being embarrassingly weak: I was not relying on the Silverman, and so I am not embarrassed. I merely pointed out that whereas you suggested that Silverman’s conclusion supported Marolt’s claim, in fact, Silverman’s conclusion contradicted Marolt’s claim. Re. the Plous and Herzog: I don’t see how you interpret that study as being relevant to the question of whether IACUCs are allowed to and do make ethical decisions. 1. RESPECT for persons’ autonomy, meaning the researcher gives adequate and comprehensive information about the research and any risks likely to occur, understandable to the participant, and allows them to voluntarily decide whether to participate. benefits and minimize risks to subjects and society. Maybe you are suggesting that ethical decisions will be completely random between decision-making bodies? Rick B., in response to your November 21, 2010 2:26 PM comment. You are right about the content of the comments from the NSF FAQ. And yet the federal regulations (45CFR46) themselves only mention the word “ethics” in two contexts; first, in the context of suggested expertise for people serving on Human Subjects Committees; second, in the context of allowing (although not requiring) universities to include a statement of ethical principles in their federal assurance. It doesn’t explicitly mention “respect” in the moral sense, it doesn’t mention “autonomy” nor “beneficence,” nor “justice” (except for referring to the US Dept of Justice). So what the FAQ suggest to me, then, is that you can have a policy that is designed to conform to ethical principles, to support ethical research, and to prohibit unethical research without the policy itself using ethical language or explicitly instructing the oversight committees to make its decisions using that specific language. Rather, 45CFR46 requires human subjects committees, for example, to review research at “intervals appropriate to the degree of risk,” to ensure that “when appropriate, the research plan makes adequate provisions for monitoring the data collected,” to ensure that “risks to subjects are reasonable in relation to anticipated benefits,” and to ensure that there are “adequate provisions to protect the privacy of subjects.” The implementation of these requirements requires human subjects committees to make ethical decisions in a way very analogous to the way in which I was saying that IACUCs are required to make ethical decisions. So far as I can tell there is not a sharp difference on this point between the animal regs and the human subjects regs. Re. Plous and Herzog: again, perhaps you can explain, but so far as I can see, it is one thing to say that committees come to different decisions about the same research and another thing to address the subject matter that the committees are deliberating about. They could be deliberating purely about factual questions and have high or low inter-committee consistency; they could be deliberating explicitly about ethical questions and have high or low inter-committee consistency. Studies similar to the Plous and Herzog study have been done in the human subjects area, but I don't see how their results would help you decide whether the regs explicitly ask human subjects committees to make ethical decisions either. Rob Streiffer: "But the important ethical question is really whether the overall system supports ethical research while prohibiting unethical research, not how this particular division of ethical labor was settled." Rick Marolt asked what the answer is to the question of whether the overall system supports ethical research while prohibiting unethical research. I think the answer is that improvements are both needed and continue to be made on both counts. To return to what I take to be the intent of the original posts by Sandgren and myself, making those improvements is unlikely to be best facilitated by perpetuating misleading and inaccurate characterizations of what people’s views are and of what people said. If you want to criticize us, criticize us for what we actually said. I expect you’ll still find plenty you disagree with. Somewhat ironically, I do think that I understand better some of the context and reasoning behind some of the substantive remarks that Rick Marolt and Rick Bogle have made, and the exchange has prompted some constructive discussion of several questions that are much more interesting than the question of what Eric Sandgren and I did and did not say. That is all to the good, I think.